Let the weight of those words sink in for a moment. For families who have experienced the loss of a child before or after birth these are more than sad sentiments. These are words that destroy dreams, shatter hope, and alter lives forever. These are words that turn unimaginable nightmares in to reality. As many as 25% of pregnancies will end in a loss. 1 in 4. Chances are, this includes someone you know. Each year on October 15th, Ontario acknowledges the experience of loss families through Pregnancy & Infant Loss Awareness Day. This was proclaimed a protected event as part of a larger piece of legislation passed in 2015 (Bill 141: Pregnancy and Infant Loss Awareness, Research and Care Act). The Act also requires research to be undertaken and programs to be developed to address the impact of pregnancy loss and infant death for families. Another ritual carried out within the pregnancy and infant loss (PAIL) community on October 15th is the Wave of Light. People are asked to light a candle at 7pm and let it burn for an hour as a sign of support and remembrance. Why should we talk about this? The simple answer is: because it matters. It matters that parents feel supported when they are told their pregnancy has ended or they have lost their child. It matters that healthcare and support providers communicate with families in a sensitive and compassionate way. It matters that there are resources available to help parents navigate through a very complicated and traumatic kind of grieving. It also matters that we see these families and hear their stories. Acknowledgement of the devastation and ongoing struggle to make sense of a pregnancy or infant loss is so important for many parents. It means they don’t need to explain why they may be completely different people after their loss. It means they don’t have to be afraid or feel ashamed to express their pain. It means they are surrounded by an informed, compassionate community. Education & support are key components of acknowledgement. The Pregnancy & Infant Loss (PAIL) Network of Ontario is a good place to start and provides information about these types of losses and how families can access help. In Kenora, the Pregnancy & Infant Loss Coalition serves as a resource for support, education, and awareness within the community. This group is made up of healthcare and support providers from various organizations, including representatives from the Sunset Country Family Health Team, as well as volunteers with lived experience. The Coalition will be hosting a PAIL Network Compassionate Care Workshop in November. This session will provide an opportunity for local professionals to increase their PAIL-related knowledge and skills. Kenora also has PAIL Network-trained peer support volunteers who are providing one-on-one counselling and will soon be starting a Circle of Support (ie. support group) for local families. October 15th is an important date for us all to mark on our calendars. The PAIL families in our community require sensitivity, compassion, and support each and every moment following their losses. Take some time to learn, reflect, and share with friends and family this week – because it matters. Summer is coming to an end … which means school is starting … which means lunches need to be packed … I can hear the *sigh* of every parent from here. 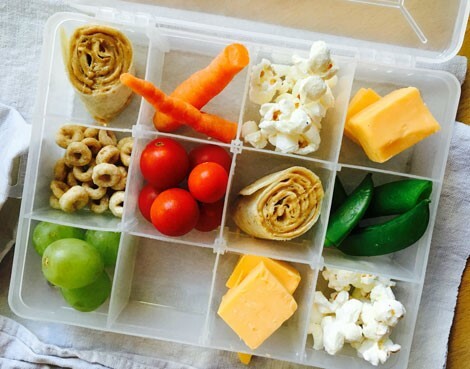 Before we get started I have something to admit … I am a “new to school mom” … I may be a Registered Dietitian but my little one only starts kindergarten this year which means I don’t have a whole lot of experience packing lunches … but this also means it is at the forefront of my mind right now. I’m not going to pretend to be an expert (obviously I’m not, my little one hasn’t even started school yet!) but I am going to share a few tips. 1. Aim for a variety of food groups. Each food group provides different nutrients to help fuel your child’s body and brain! 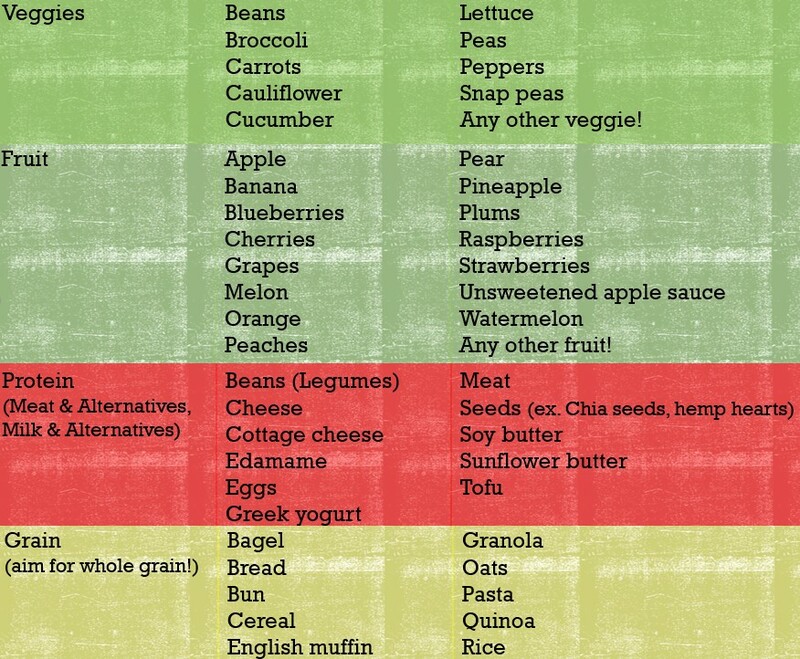 An easy way to ensure they are offered a variety of nutrients throughout the day is to make sure you choose a food from each of the following categories. 2. Think outside the lunchbox. It is easy to get stuck in a ‘sandwich cycle’ – day after day, sandwich after sandwich. Consider your child’s favourite food and think of how you can incorporate it and still include at least one food from each of the categories listed above. My little one LOVES pancakes and muffins (who doesn’t?!). Get creative and work the food groups into them – quinoa egg veggie muffins, cottage cheese pancakes (I know you are thinking, “there is no way my kid will eat that” but give the simple 3 ingredient recipe a try and you may be surprised … if you still aren’t convinced add a few chocolate chips), pizza muffins, chickpea blondies (yes – a Dietitian just suggested brownies for lunch). What kid does love pudding or a good dip?! 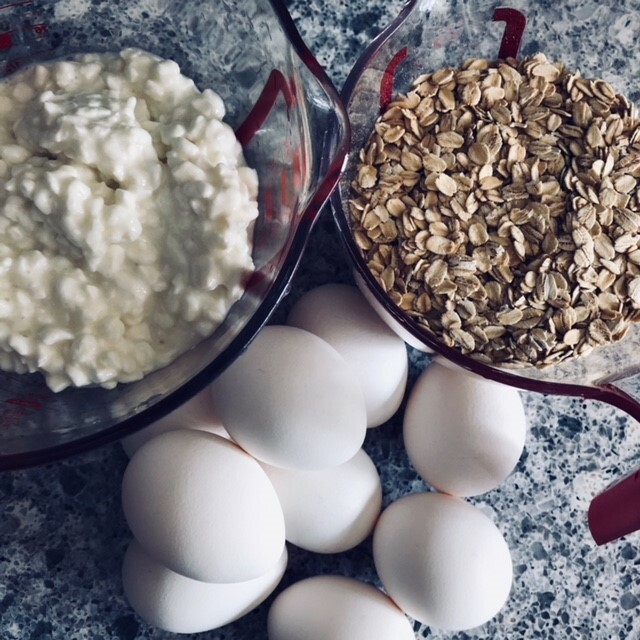 Try working the food groups in these with these recipes – chia seed pudding, cottage cheese or Greek yogurt-based dip (serve with veggies). 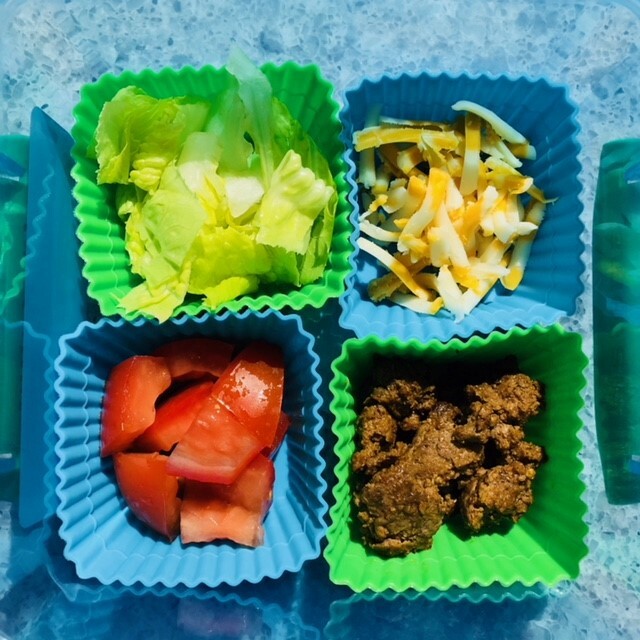 Bento box / smorgasbord / lunch box buffet / charcuterie lunch pack / homemade lunchable – whatever you want to call it, kids love it! Use a store-bought compartmentalized container, mini tackle box, or make your own by adding silicone muffin cups to a container you already have. Fill each compartment with a different choice – don’t forget to include all of the food categories!